Purpose: Use this document as a reference for how to resolve missing card information in a staged Visa transaction data in ctcLink. 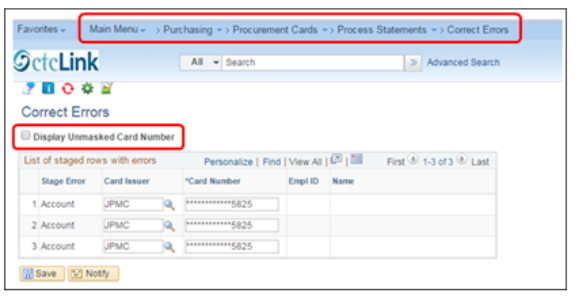 Use one of the search fields on the Cardholder Profile page to find the appropriate cardholder. Click on the appropriate Employee ID. Click the Card Data tab to display employee’s profile as well as the cards attached to this particular employee under the Credit Card tab. If there are no cards listed, new card information can be entered into the various Card Data fields. This is a required field and it is for reporting and is designed to help you identify and track cards close to expiration. A future date (1/1/2222) can be entered in order to not micromanage data. If all fields are full, add a new line by clicking the (+) button. This will prompt a pop up box that asks how many rows to add. The default is one row. Click the OK button and a new blank row will be added. Enter appropriate information into the new row. Click on the Additional Information tab under the Card Data tab. The Assign Proxies page is used to assign roles to various users for a specific card. 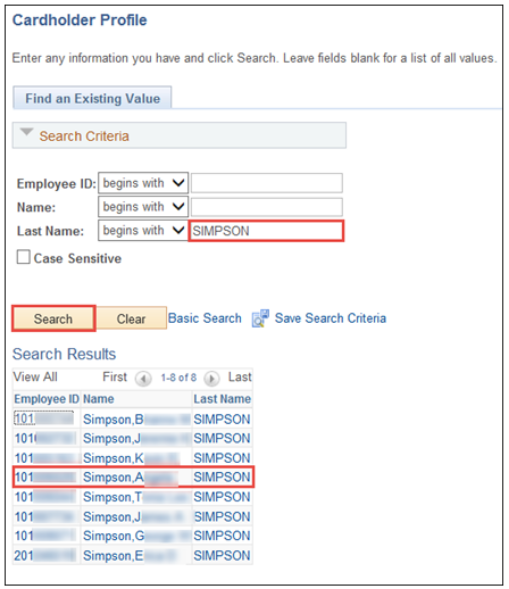 Once the new User ID has been entered into the appropriate field, the Roles field will appear. The Roles dropdown menu will reveal the appropriate roles for that specific User ID: Reviewer, Reconciler and/or Approver. Click the (+) button to add additional lines if necessary. Click the OK button to get back to the main credit card information screen. Then click the Default Distrib link. The Default Accounting Distribution page appears. Enter all appropriate information into the various fields. In order to save previous work, simply specify an Account value in the Account field. 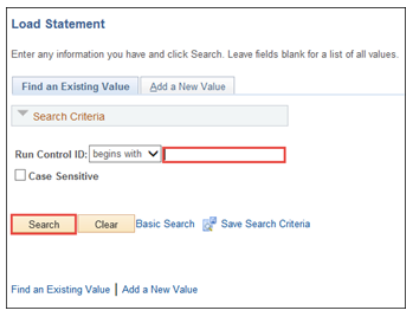 Enter the appropriate Run Control ID under the Find an Existing Value tab or use the Add a New Value tab to create a new Run Control ID then hit the Search button. The Process Request Parameters screen showing the system when the card had not existed. The Process Request screen showing the system after the card had been added. There are still three rows in the staging table, but now they are ready to be loaded. Click the Run button, then the OK button.